When it comes to purchasing the right type of glasses to safely view this month’s solar eclipse, there’s more than meets the eye. Officials from the nonprofit American Astronomical Society are warning people — those looking to buy the special lenses that allow you to stare directly at an eclipse as it’s happening — to steer clear of phony or counterfeit products being sold online. Buying inadequate glasses, the group says, could lead to serious eye damage. The proper lenses should meet what’s called “ISO 12312-2” (sometimes written as “ISO 12312-2:2015”) international safety standards, according to the group. Accredited manufacturers print a logo bearing this identifying mark on their products and packaging. 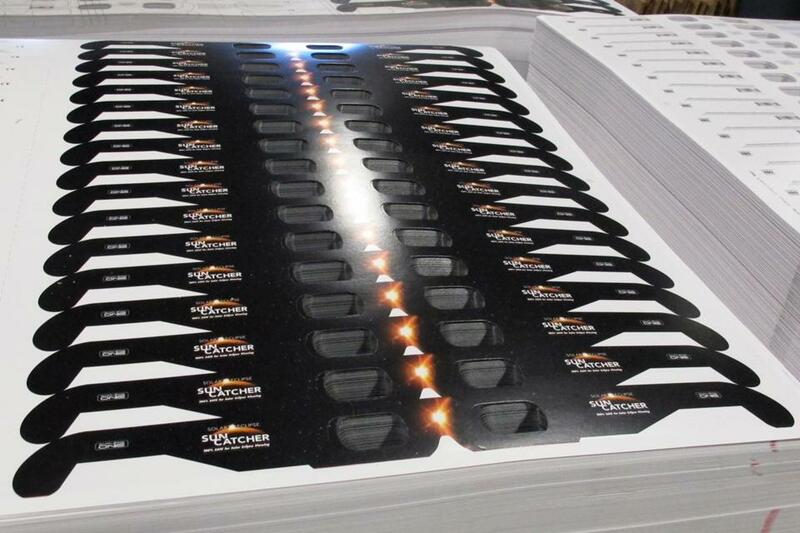 The problem is, vendors seem to be slapping that label onto glasses that don’t meet the qualifications, possibly looking to earn a quick buck amid the excitement surrounding the Aug. 21 celestial event. This, of course, has experts worried. Is the eclipse throwing shade at Hillary Clinton supporters? Read: What’s a total solar eclipse, and why is this one so unusual? According to the National Aeronautics and Space Administration, the only time it’s safe to view a solar eclipse without “eclipse glasses” or special viewing lenses is during the moment of “totality,” when the moon completely obscures the sun’s glaring disk. (Information about viewing the eclipse safely is on NASA’s website, eclipse2017.nasa.gov/safety). Before and after that moment could spell trouble for spectators trying to peer up toward the rare, natural occurrence. “People should never look directly into the sun except when it’s in totality,” said Christine Jones, a senior astrophysicist at the Harvard-Smithsonian Center for Astrophysics, and president of the society. “People can seriously damage their eyes,” she said. 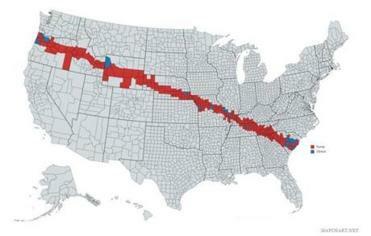 A full solar eclipse will only be visible in what experts call the “path of totality,” a 70-mile-wide corridor that stretches from Oregon to South Carolina. Totality will only occur for roughly two minutes. For everyone else who isn’t within the path — like residents in Massachusetts — only a partial eclipse will be visible when the moon passes between the earth and the sun. That means, finding the right specs is a must. 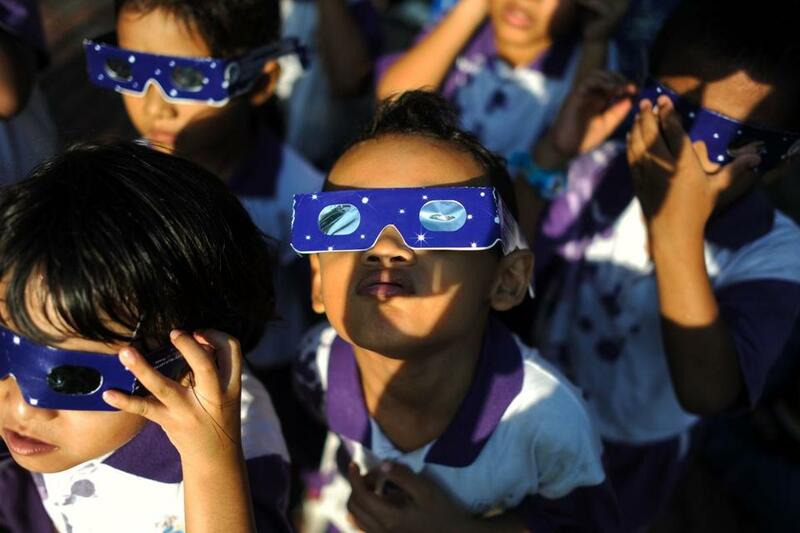 In its warning about faux products, the society pointed to a recent report by Quartz, which scoured Amazon for unsafe glasses being shelled out to the public as the hype grows ahead of the eclipse. The society offered its own list of what it called “reputable vendors” where viewers can purchase legitimate specs for the occasion, diverting people away from the reportedly bunk offerings being promoted to consumers. “If we don’t list a supplier, that doesn’t mean their products are unsafe — only that we have no knowledge of them or that we haven’t convinced ourselves they are safe,” the group said.